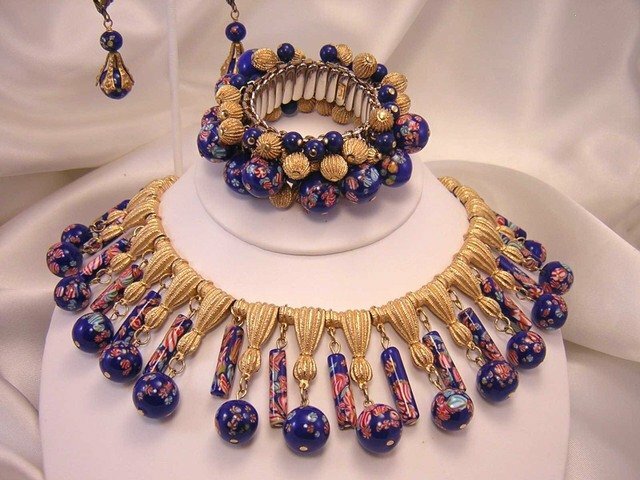 1960's/1970's "Trifari" fringe-style necklace. Japanese lampworked millifiore (mosaic) beads. Carries the metal "T" tag.